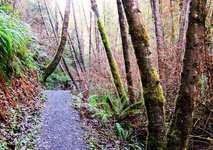 THE FRIENDS OF SOUTH SLOUGH RESERVE, INC. IS AN OREGON 501 NON-PROFIT CORPORATION. The Friends of South Slough Reserve is a membership, all volunteer, non-profit organization. The Friends of South Slough Reserve promotes and assists South Slough National Estuarine Research Reserve in its educational and research activities and obtains grants and other funding to promote and support the Reserve and its programs. The Friends of South Slough Reserve sponsors many activities each year to raise money for community education, trail development, and research about estuaries. The Friends maintain a book store at the interpretive center. They help interpret South Slough’s ecology and natural features for visitors. Members of the Friends of South Slough Reserve also assist with guided trail walks, with classes and with hosting special events. New members are always welcome. 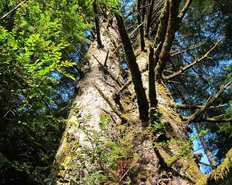 To join the Friends of South Slough Reserve, contact the South Slough Interpretive Center at 541.888.5558 or stop in at the Interpretive Center at 61907 Seven Devils Road, Charleston Oregon or write the Friends of South Slough Reserve at PO Box 5446, Charleston, OR 97420. South Slough is the first of now 28 National Estuarine Research Reserves created under the Coastal Zone Management Act of 1972. The Reserve celebrated its 35th anniversary in calendar year 2009. The mission of South Slough National Estuarine Research Reserve is to improve the understanding and stewardship of Pacific Northwest estuaries and coastal watersheds. The 4,800 acre Reserve encompasses a mixture of open water channels, tidal and freshwater wetlands, riparian areas, and forested uplands. SSNERR actively supports and coordinates research, education, and stewardship programs which serve to enhance a scientific and public understanding of estuaries and contribute to improved estuarine management. Visitors are welcome to explore the estuary through the interpretive center, trails and waterways, programs, and online resources.